Time Trap: Best letter ever! I wanted to share with you what is probably the most touching letter I have ever received in my life. It's from my old primary school in Essex which I left many, many full moons ago. Uphall was a wonderful school in my day and it still is, boasting a "good" Ofsted rating. I am so proud of the place. 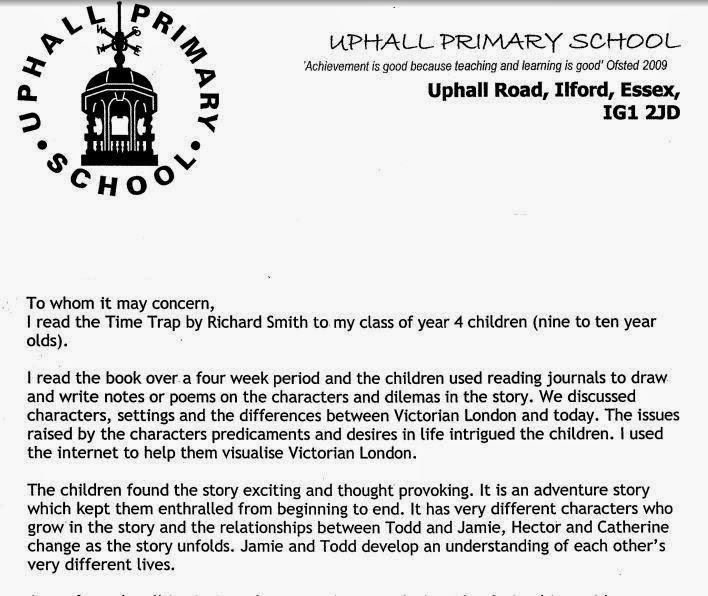 Some time ago I visited the school and left a copy of Time Trap with the teacher in my old classroom. Then a few months later I received a fantastic letter from the teacher telling me how much the children had enjoyed the book. "The children found the story exciting and thought provoking. 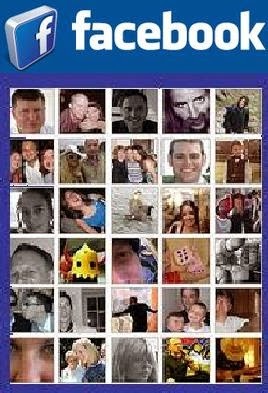 It is an adventure story which kept them enthralled from beginning to end. The story deals with relationships with friendship and love, and these themes were also interesting aspects of the story for my class. 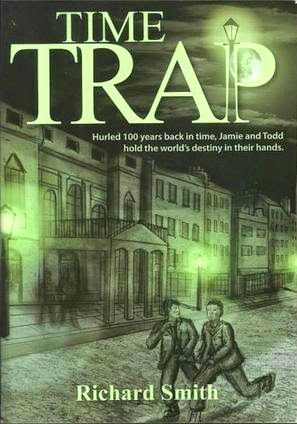 "Time Trap is compelling reading. My class enjoyed it and were exciting about meeting the author." As we say in Essex, I was chuffed to bits!